Rotherham-based businesswoman, Jackie Cook has become a UK stockist for Leaders in Heels products which stem from an Australian concept created to nurture, inspire and empower women. 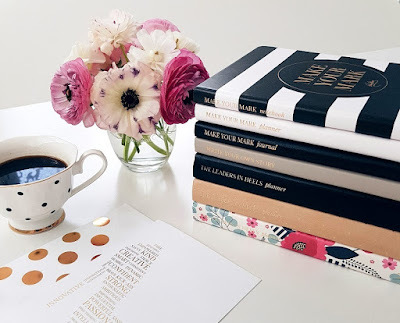 With an online community, Leaders in Heels design inspirational stationery to help women develop habits of successful leaders and to encourage them to go after their dreams and make their mark on the world. Based at RiDO's Moorgate Crofts Business Centre, Jackie set up CQ Strategic Marketing offering a full range of marketing services alongside marketing training, coaching and mentoring. Jackie Cook, managing director and founder of CQ Strategic Marketing and CQ Marketing Academy, said: "I am delighted to promote the Leaders in Heels brand in the UK, these products have helped me identify my goals and develop actions plans to achieve success both personally and professionally, keeping me focused and positive on a day-to-day basis. "With all the media attention on the gender pay gap I see these products as great tools to support other business women, who frequently have "imposter syndrome" and listen too much to their "inner critic" instead of believing in themselves and pursuing their dreams. "I work in the still very male-dominated sector of manufacturing and engineering, according to the latest report from Engineering UK only 12% of those working in engineering are female. The sector has a large skills shortage with the industry needing 203,000 people with Level 3+ engineering skills every year to meet demand through to 2024. Many of my clients are facing this issue on a day to day basis struggling to hire the skills they need, with many of them reintroducing apprenticeship schemes to develop the skills required in-house." Kasia Gospos, founder of Leaders in Heels, added: "I created the Leaders in Heels Manifesto to bring to life the main qualities that make you a Leader in Heels, successful and good at what you do in your daily life – moving up the corporate ladder, turning passion to profit and empowering other women to also reach their potential. "Leaders in Heels content, stationery, e-books and events are inspired by our manifesto – a set of ideas and traits exemplified by the dynamic and successful women in the community. Through our work we strive to encourage women to follow their passion, be creative and innovative in their lives, feel confident and determined in their endeavours and to maintain a kind heart on the path to success."